Though only three toes are clearly evident in this cast (the fourth digit is there, but barely), the striations seem to indicate independent toe movement. Like many of the other London Tracks, this one's subtleties make it beautiful. Read more about it, and see close up photos of this cast by clicking here. With lots of plaster overflow, this cast shows details of the substrate the prints were left in. Cracks, moss, and even snail shells are evident both inside and outside of the print itself. Four toes are clearly visible, and the foot impressed to varying depths. For more information and photographs of this cast, click this link. 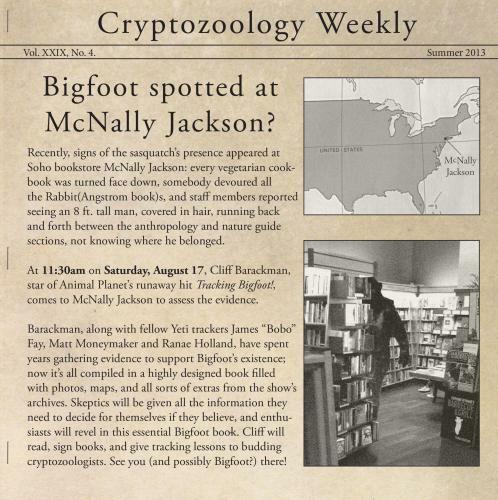 The August HopsSquatch should prove to be most interesting. 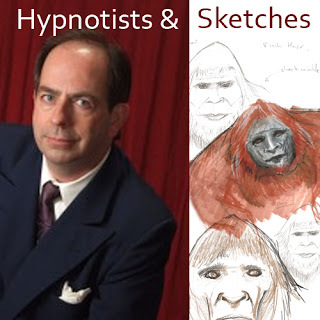 Doug Meacham, a certified and registered hypnotist, has been working with a bigfoot witness to help him recall more vivid details of his two bigfoot enounters. I have come to know this witness personally, and can now call him a friend. He is undoubtedly telling the truth, and his encounters were up close and personal. This will be an excellent event that should be full of insights and information. For more info, check out the HopsSquatch website. See you there! This article was put on the AP news wires and circulated widely at the time. This particular version comes from the Fresno Bee, and is dated October 8, 1958, just four days after the original newspaper article featuring Jerry Crew and the bigfoot cast. There have always been ridiculous explanations for sasquatches. Until a wider acceptance of the species spreads, there will continue to be strange, illogical explanations for a perfectly normal species of North American mammal. This one is particularly interesting as it seems to be in response to the Jerry Crew footprint find. I'm in the Big Apple for an appearance today, so if you live anywhere nearby, feel free to come on down to say hello! 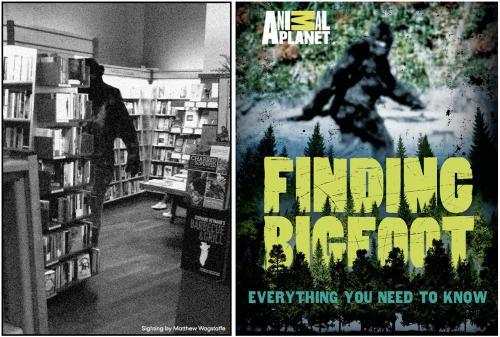 I'll be signing copies of the brand new Finding Bigfoot book, which will be for sale at the appearance. For more info, click here! 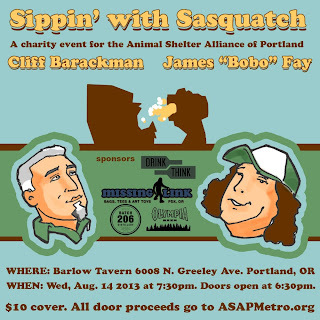 This Wednesday evening, Bobo and I will be doing a charity fundraiser for the Animal Shelter Alliance of Portland. 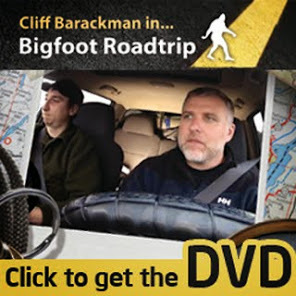 Come down to the Barlow Tavern and enjoy a tasty beverage while hobnobbing with Cliff, the Bobes, and other bigfooters. One hundred percent of the proceeds will go to benefit ASAPMetro.org! Keep in mind that this event is being held at a bar, so you have to be 21 years or older to attend. The cover will be $10, and all of that will end up in the hands of ASAPMetro.org to benefit the local animal shelters here in the Portland area. There will be bigfoot-themed drink and food specials, as well as a DJ spinning tunes. This is NOT an official Animal Planet, Discovery Network sort of sponsored event. They have nothing to do with it. It's just Cliff, the Bobes, and a few other good-hearted folks getting together to do some good. This partial cast, though incompletely showing the length of the foot, has three deeply impressed digits. While the middle of the foot nor the heel impressed into the substrate, in the daytime photograph of the footprint one can see where those parts came in contact with the substrate by the debris they left behind. For more information and photographs of this footprint and cast, click here. I like bigfoot, animation, and general weirdness, so I had to share this with you. Enjoy! Sasquatch on Santa Monica Blvd. Thanks to Ed Huerta for sharing his art with me! You can see more of Mr. Huerta's work at his website by clicking this link. Track 55 of the London Trackway has now been added to the database. Not all the casts are glamorous, and this humble example serves as another (big)foot forward towards completion of the entire London data set. Click here to check out the track, including daytime and nighttime photos from before it was cast!